With rising greenhouse gas emissions, increasing pollution, steadily depleting natural resources, and spiking oil prices, we now have a much greater need for alternative fuel and energy sources than ever before. Biofuel is the next generation of fuels that can possible provide us with this type of sustained alternative energy. Keep reading for more information to answer the question of how is biofuel made. Where does the first phase for biofuel production begin? The sun takes credit for the very first step in this process. The sun helps to grow crops and plants, which are then eventually used to produce biofuel. Biofuel is actually derived from biomass, which can come from gas, solid and liquid states. 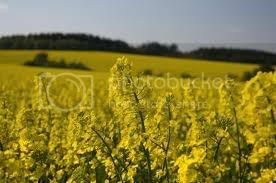 These crops that are specifically grown to be used to produce biofuels are referred to as feedstocks. These feedstocks are the raw and unprocessed form that the bio fuel is derived from. Among the more common types of feedstocks and crops that are used for the production of biofuels are corn, sugar crops, and forests. In addition, even some of the byproducts of materials such as those that come from wood can be used in this process. These special byproducts are often converted to the liquid forms of biofuels, which include methanol and ethanol. With the ability to use these byproducts, production methods have gotten a lot less expensive since there is much less waste involved. In addition, there are also certain natural oils that are also used to help produce this special type of fuel. For example, oil palm, soybean and algae are surprisingly capable of being burned directly in certain types of furnaces and engines and can also be blended with certain types of fuels or petroleum based fuels for a more powerful blended mixture. Furthermore, certain bio active agents are also being developed which essentially stimulate the activity of biomass. This mixture and addition of these special bio agents creates a catalyzing reaction to encourage more efficient production of the elements necessary for the creation of biofuels. Another means of producing biofuel that has proven to be especially efficient and cost effective is the conversion of vegetable oil to a burnable fuel that can be used with most types of engines. And while we have come a very long way with our biofuels production capabilities, there is still a great deal of research and development that needs to be done before we can expect to see the widespread, everyday use of these special types of fuels. However, the technology for it is just around the corner and we can expect some very exciting developments soon enough.